It’s commonly accepted that the little black dress made it’s first appearance via Paris designer Coco Chanel in French Vogue 1926. It was listed as Chanel’s Ford Dress (named after black Model T Ford car). It was a simple sketch of a black crepe de chine day frock with a bodice which bloused at the waist. Chanel was wearing variations of this regularly and in her trademark black colors. While Chanel and her ‘Ford dress’ did herald the simplification of future day-wear for women, and had a number of Haute Couture evening dresses in black in her 1926 collection – in my opinion, it was not the first true ‘arrival’ of that vital little evening frock we all know and adore today. That would need something far more attention grabbing. 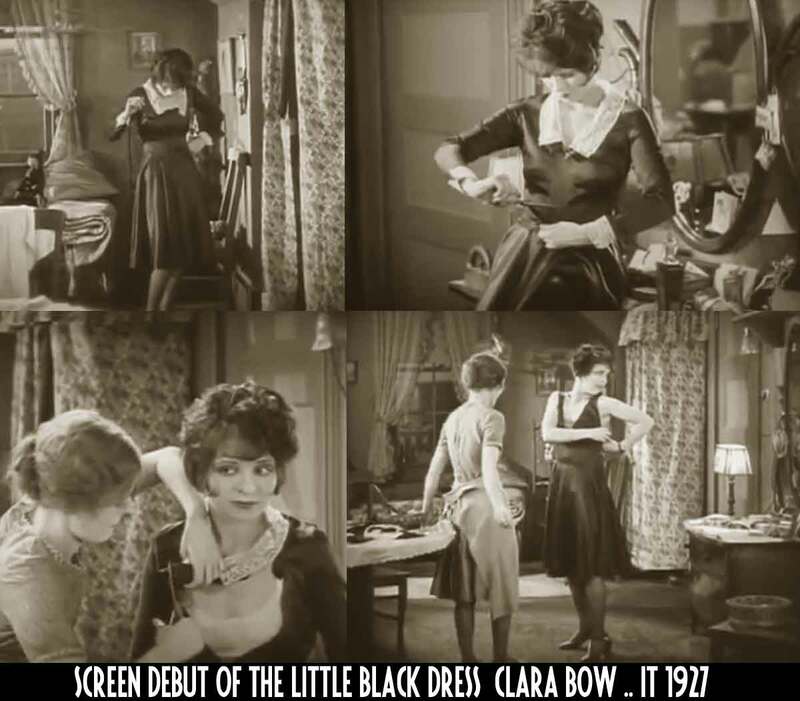 The following year a young Hollywood costumer named Travis Banton,created an iconic and pivotal moment in women’s fashion,when along with screen star Clara Bow, they debuted the little black dress in the hit film of 1927 “IT”. Travis Banton had started out with a salon in New York, but after Mary Pickford wore his dress on her wedding day to Douglas Fairbanks in March 1920 ( thanks Dario!) , it was only natural he would head for Hollywood. “People don’t realise how big Clara Bow was at that time. 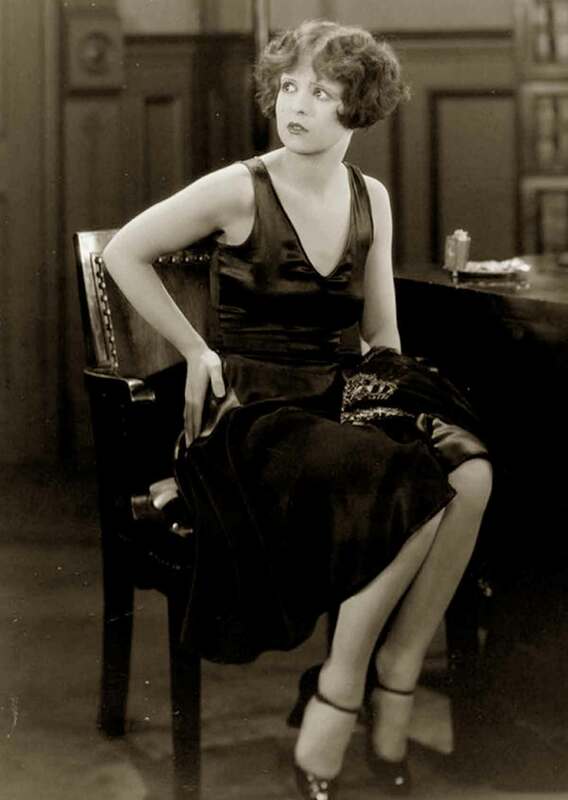 She was the biggest star in Hollywood, above Garbo, above them all!” Louise Brooks in 1980. Clara Bow’s taste did not match that of Bantons. He frankly thought of her as uncouth at first meeting. So how was the little black dress born? Betty Lou is a shop assistant at the lingerie counter in a major department store. In an attempt to impress her boss Cyrus Waltham, she goes on a date to the Ritz with Walthams best friend Monty. However Betty is pretty broke and in a moment of madness, with the help of her flat mate, she transforms her work dress into a daring evening frock – and presto the little black dress makes its début in film. 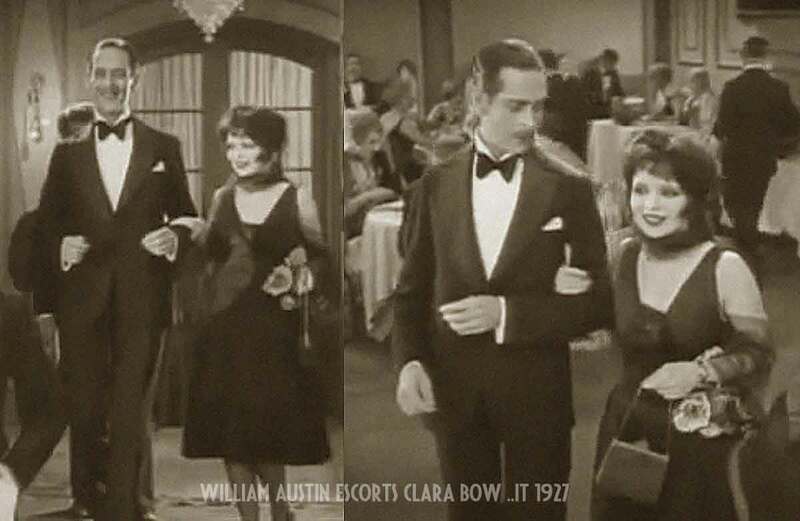 Their sweeping entrance into the Ritz was a cinematic moment which ‘presented’ Clara Bow, not to mention her dress. The impact of this scene cannot be underestimated. 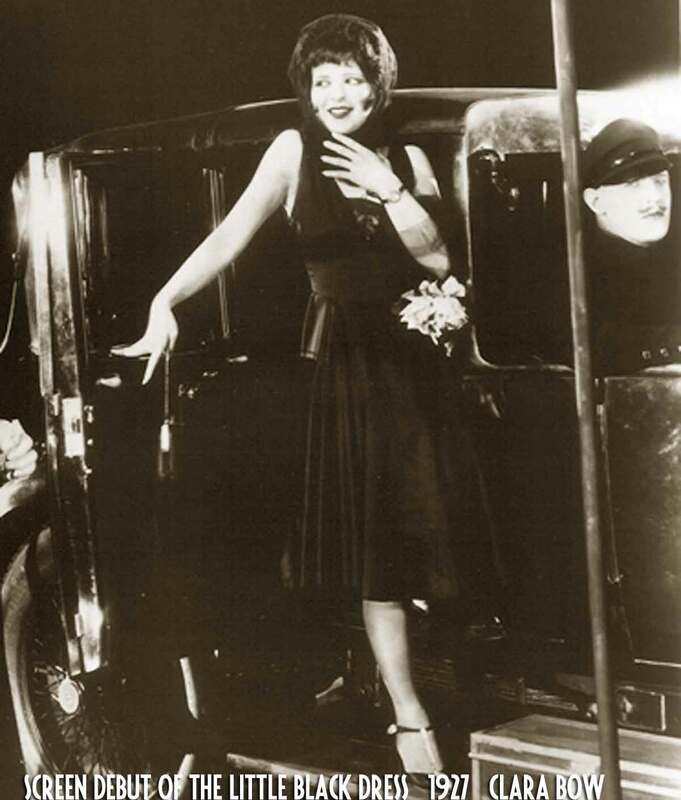 It was shattering, and overnight Clara Bow became the world dictator of fashion. The LBD was cemented in peoples minds when Bow wore another little black dress in her next movie Rough House Rosie, released later that year. Travis Banton went on to become one of Hollywood’s leading costumers in the 1930s, designing for all the leading ladies like Carole Lombard and Mae West. The little black dress would not receive such media attention again until Hubert de Givenchys creation for Audrey Hepburn in Breakfast at Tiffanys in 1961. Read also GlamAmor with the stylish Kimberly Truhler. Her entertaining blog explores the huge influence of Hollywood on fashion. Clara Bow was the bee’s knees. Love her always!